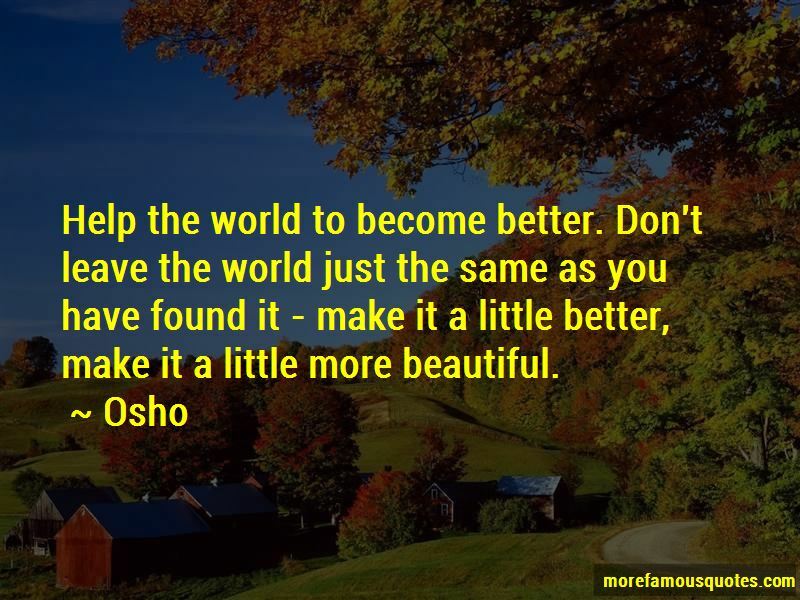 Enjoy the top 471 famous quotes, sayings and quotations by Osho. No thought, no mind, no choice - just being silent, rooted in yourself. If a man is crossing a river and an empty boat collides with his own skiff, even though he be a bad-tempered man he will not become very angry. But if he sees a man in the boat, he will shout at him to steer clear. If the shout is not heard, he will shout again, and yet again, and begin cursing. And all because there is somebody in the boat. Yet if the boat were empty, he would not be shouting, and not angry. If you can empty your own boat crossing the river of the world, no one will oppose you, no one will seek to harm you ... . Who can free himself from achievement, and from fame, descend and be lost amid the masses of men? 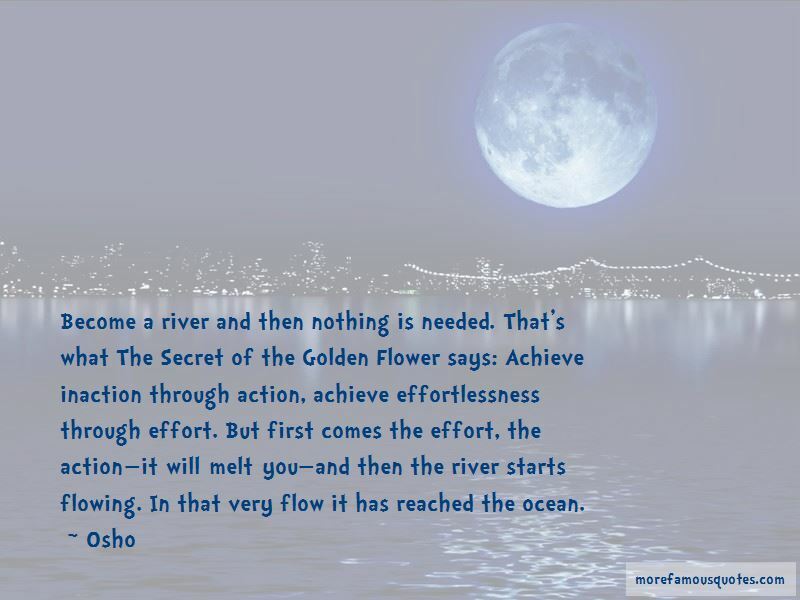 He will flow like Tao, unseen, he will go about like Life itself with no name and no home. Simple is he, without distinction. To all appearances he is a fool. His steps leave no trace. He has no power. He achieves nothing, has no reputation. Since he judges no one, no one judges him. Such is the perfect man: His boat is empty. “The natural desire of the human mind is to become special - to become special in the ways of the world, to have many degrees, to have much political power, to have money, wealth - to be special. The mind is always ready to go on some ego trip. And if you are fed up with the world, then again the ego starts finding new ways and new means to enhance itself - it becomes spiritual. You become a great mahatma, a great sage, a great scholar, a man of knowledge, a man of renunciation; again you are special. “Destructiveness cannot bring happiness; destruction is against the law of creation. The law of creation is to be creative. So Buddha says if you are destructive you will be miserable.If you are envious, infatuated, competitive, ambitious, jealous, possessive, you will be in misery. In Buddhist terminology there is nothing like sin, only mistakes, errors. There is no condemnation. You can correct the error, you can correct the mistake. It is simple. This is the secret, THE secret ... De-automatize. Life is beautiful because it is insecure. Life is beautiful because there is death. Life is beautiful because it can be missed. If you cannot miss it, everything is forced upon you, then even life becomes an imprisonment. You will not be able to enjoy it. Even if you are ordered to be blissful, commanded to be free, then bliss and freedom both are gone. "Will existence protect me when I allow myself to let go?" Try! Only one thing I can say to you. ... I am not talking to your fear, remember. Only one thing I can say to you-all those who have tried have found that it protects. But I am not talking to your fear. I am simply encouraging your adventure, that's all. I am persuading, seducing you toward adventure. I am not talking to your fear. All those who have tried have found that infinite is the protection. Danger for the mind, of course, but not for you. Just try to understand a simple fact: human beings are human beings. Once in a while everybody gets bored being with the same person all the time. Be factual; don't live in fictions. Once in a while, everybody gets fed up; that does not mean your love has stopped, it simply means a little change is needed. It is good for your health, it is good for your partner's health. You both need a little holiday from each other. Why not do it consciously? 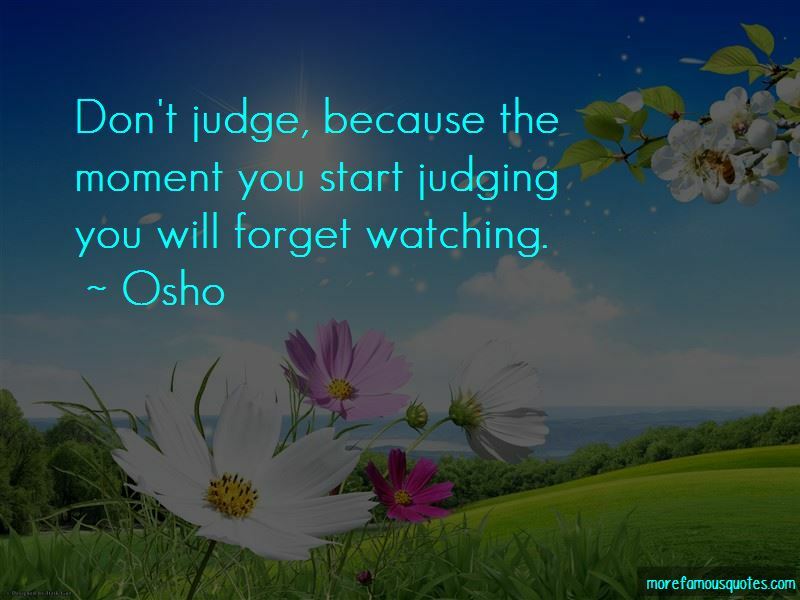 Want to see more pictures of Osho quotes? 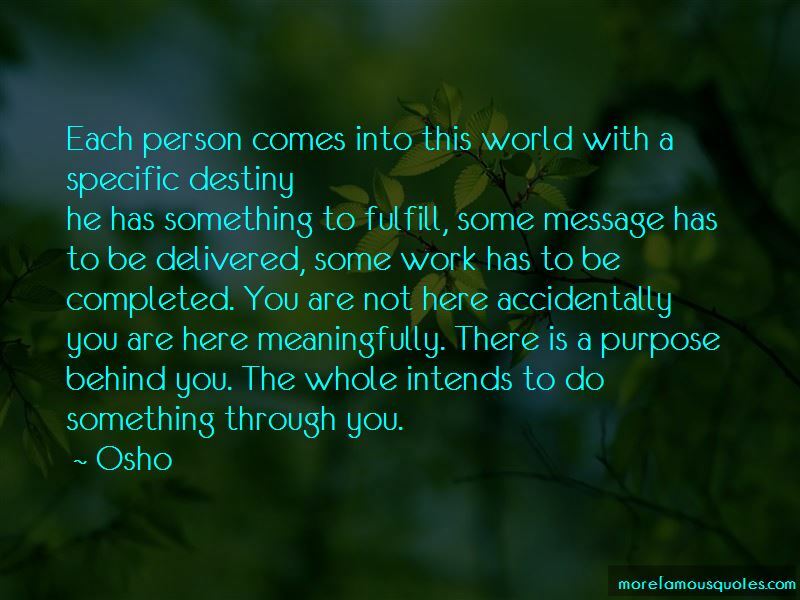 Click on image of Osho quotes to view full size.